Let me explain what this is. Many people visit my pages... print several coloring pages and then staple them together to make a coloring book. 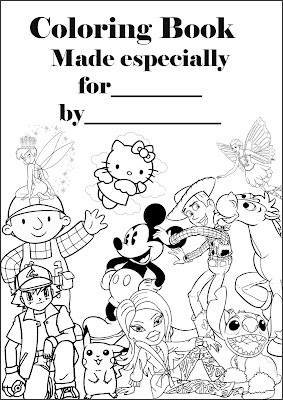 Grandparents make coloring books for their grandkids, teachers put some together as prizes for their students and I know of parents putting together coloring books to give out as party favors or to have around the house at Thanksgiving or Christmas time and so on. With this in mind I thought I'd make a unisex coloring book front cover that you can print for your personalised coloring book. Add to it the name of the recipient and your name as the kind person who put it together. The good thing about it is that this front cover in itself can be colored in. 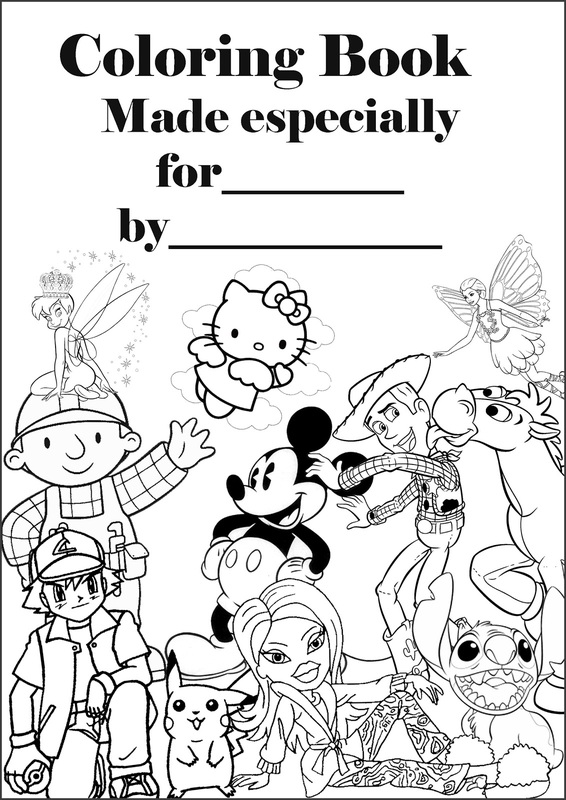 Coloring pages and pictures, crafts are often the preferred popular projects for kids. These projects can be used for young children and also as therapy and relaxation for seniors too.